Still, plants need about 16 nutrients for optimum health (and we humans likewise need at least that many, which, in turn, come from the plants we eat). Many of those nutrients, so-called micronutrients, are needed in minuscule amounts. The miscellany of ingredients — orange peels from Florida, hay from my field, horse manure from a nearby stable, etc. — no doubt contributes to a broad spectrum of nutrients in my compost, so my plants don’t need anything else. Probably. And that’s where kelp comes in. Coming from the sea, kelp contains a wide range of nutrients. After all, way back when, our progenitors originated in the sea, right? Perhaps something is lacking in my compost. very well might be akin to hauling coals to Newcastle. It’s woo woo. Speaking of woo woo, I had the opportunity last weekend to be part of a 3 member “debate” panel at the NOFA (Northeast Organic Farming, www.nofa.org) summer conference in Amherst, Massachusets. Each of us panel members presented our approach to soil fertility and sustainabllity, followed by questions. I expounded (longer than I had expected) on how I build fertility from the top down using organic materials and avoiding soil disturbance, combining a reverence for both science and Mother Nature. Dave Jacke lobbied for agricultural systems based more heavily on perennial rather than annual crops, in so doing building and preserving soil and making good use of native fertility. Dan Kittredge promoted “Nutrient Dense” farming (see realfoodcampaign.org), an approach that, admirably, strives to grow food in ways that maximize nutrients, but woo woo-ably, assesses the nutrient status of crops in — shall I generously say — questionable ways. 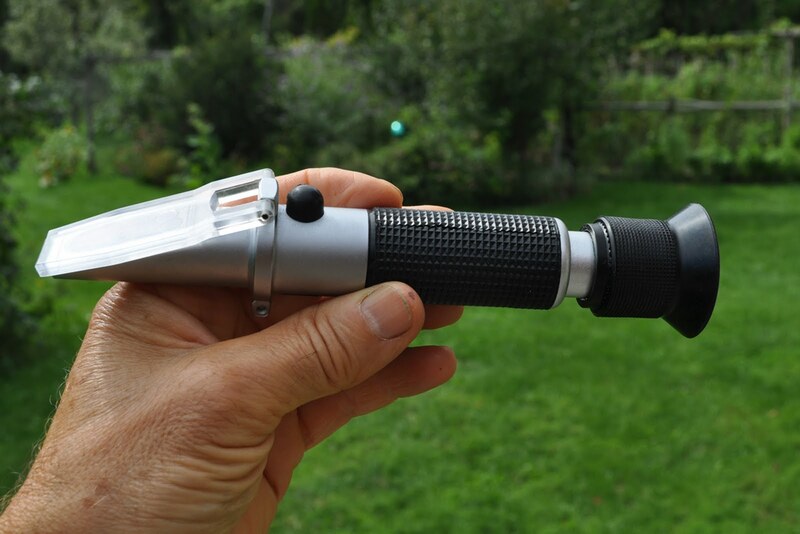 Crop assessment in Nutrient Dense farming is with a refractometer, a hand-held instrument that measures the degree to which a liquid bends a ray of light. In gardening and farming generally, this hand-held device quickly assesses the concentration of sugar concentration in liquid squeezed out of a leaf, stem, or fruit. More sugar, more bending. So far so good. The Nutrient Dense people, though, promote use of the refractometer for assessing mineral nutrients in that solution. Woo Woo. Minerals do have an effect on refraction but one that is far overshadowed by the far, far greater concentration of sugar in plant sap and fruit juice. Even if it did measure mineral nutrients, the reading would tell nothing specific about which of the 16 or so minerals were sufficient or deficient. And said readings would be expected to vary with plant part used and age of plant or plant part. Despite the woo woo-ness of the Nutrient Dense approach, it’s been built up into an industry that helps you test for deficiencies and then sells materials for correcting them. Woo Woo. That bit of woo woo-ness aside, the NOFA conference is an enlightening and uplifting event, one that I’ve attended and presented at for about 20 years. 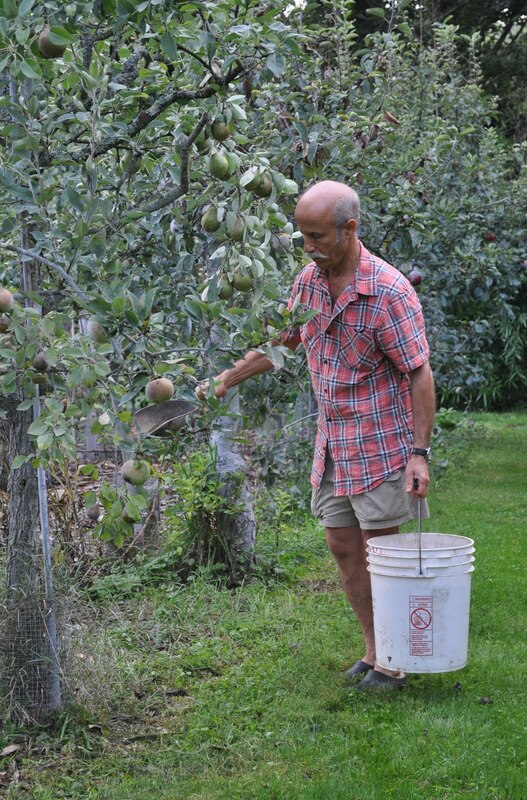 NOFA is one of a few organizations that has brought organic agriculture into the mainstream over the last 40 years. I remember almost 40 years ago, as a graduate student in soil science, when organic agriculture was generally pooh-poohed both in academia and in the field. Each summer’s NOFA conference offers an array of workshops on topics ranging from baking bread to composting with earthworms to starting a food co-op to growing blueberries (one of my workshops) to growing salad greens. Presenters are equally diverse: agricultural researchers, homesteaders, suburban gardeners, lawyers, anyone and everyone. Plenty of fun activities are also offered for teenagers and younger children. In addition to the annual summer conference, held in mid August, each state within the northeast holds an individual winter conference. See the www.nofa.org website for links to state chapters. States and regions beyond the northeast hold similar conferences, one of my favorite being the Pennsylvania Association for Sustainable Farming (www.pasafarming.org) conference. These conferences are interesting and educational, and fun, even if each does have a bit of woo woo. Hurricane Irene came and went. Floods came and went. Here’s a couple of photos, one showing my temporarily riverfront property, which actually looks very pleasant except that the water isn’t supposed to be there. The other photo is of me paddling among my chestnut filbert, persimmon, and espalier Asian pear trees. More on all this at a later date. I was wondering how your farmden fared. The Wallkill didn’t get to my garden but started inching up the lane here….The Wallkill almost came up to the River Road crossroads on Springtown Rd.